When the Tour de France route was announced, Chris Froome considered riding the Giro d’Italia instead. “But given where I am right now in my career, given that I am 29 and coming into my best years, and given that the Tour de France is the biggest race for us, it would be a loss to miss it,” he explained. Froome and Contador went head-to-head in last year’s Vuelta a España, with Contador coming out on top. 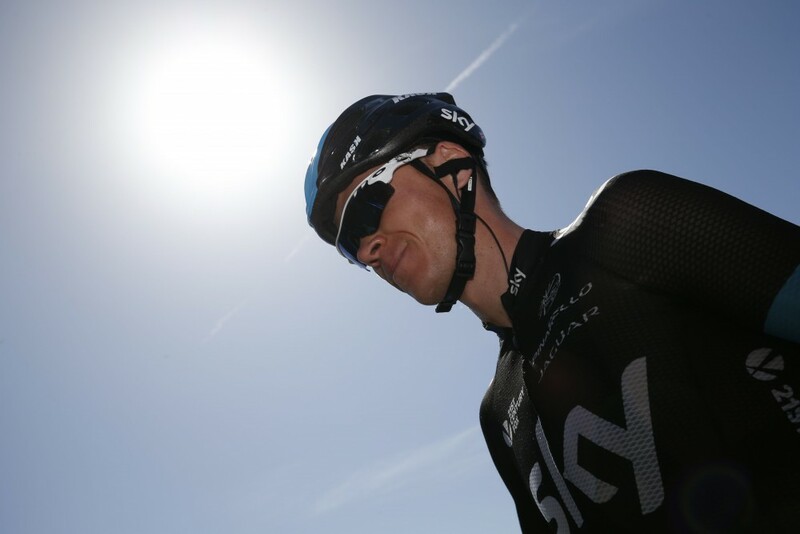 The Spaniard recently described Froome as his top rival, which Froome said was a “very nice compliment”. The sentiment is reciprocated: “He is my biggest rival, and last year’s Vuelta is still very fresh in my mind, how strong he was after his very serious injury [Contador also crashed out at the Tour]. One person missing from the roster will be Sir Bradley Wiggins, who in April will join his own set-up, Team Wiggins, to focus on the Rio Olympics. It will spare Froome the question that has dominated the build-up to the last two Tours: can he and Wiggins, with whom he has a fractious relationship, ride together? Is that a relief? “I wouldn’t put it like that,” said Froome. That means, said Brailsford, winning the Tour de France again but also, for the first time, a one-day Classic. “We’ve had a good first five years,” said Brailsford, “but where do you go from there? We have to get better and we’d like the second five years to be better than the first. Another aim in 2010 was to inspire a million more people to ride bikes, and Brailsford said phase two of this ambition is to “turn them into real bike fans”. He explained: “There were millions of spectators at the Grand Départ [of the Tour de France] in Yorkshire, but how do we turn them into real fans?” One way to engage, he added, could be innovation in “technology and human performance, that’s where the cutting edge is”. Recalling the “baptism of fire” of the team’s debut, Brailsford could reflect on three years of steady — and at times dramatic — improvement up to 2013. He admitted that last year was a disappointment, but said that was “necessary to get to where we are now”.